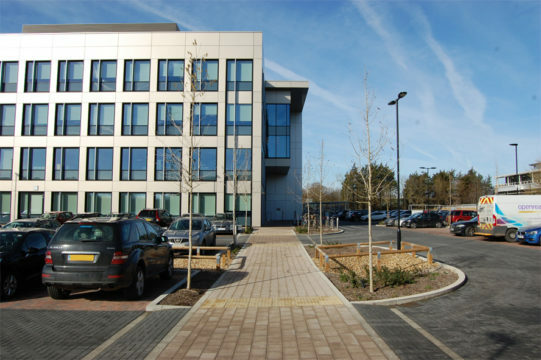 We were appointed by a client’s agent to provide landscape architect ’s information to support a detailed Planning application for this office development located close to the A14, north Cambridge. A sketch landscape design was prepared and presented our client for approval. Once signed off our landscape architects prepared information for a detailed Planning submission, including a full landscape design statement. This was followed by the production of information to satisfy Planning Condition and full tender pack of landscape architect’s information. We were then responsible for monitoring the on site works as they progressed to their completion. The proposed building is located at the south end of an existing business park with a busy primary road to its west. To the west and south plot boundaries numerous existing trees are present. To the west, south and east boundaries existing hedges are present. Running east west, across the south corner of the plot, an over head power cable is in existence. The architect’s proposed built form is square in plan and located at the south west corner of the plot. 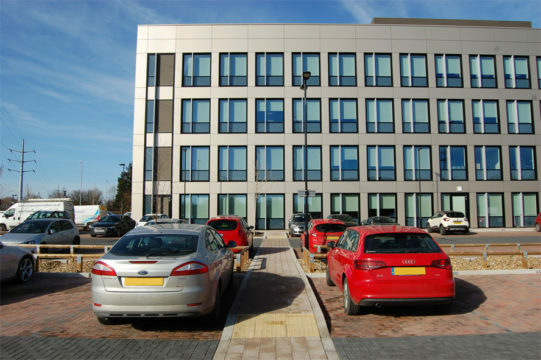 Our landscape architects’ primary task was to accommodate the Local Authority’s required number of car and cycle parking spaces within the plot boundary. In addition, the boundary treatment was particularly sensitive to the Local Authority. This was given careful attention careful attention by our landscape architects and a sensitive solution was reflected within our landscape design. A public amenity space for the use of employees is located to the south of the building. Our landscape architects designed this space so as to accommodate the vehicular over run requirements imposed by delivery, fire tender and cleaning vehicles. 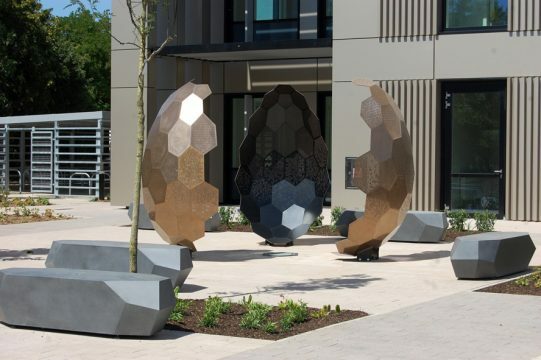 In addition, our landscape architects worked closely with a sculpture workshop to integrate a piece of art within this space. 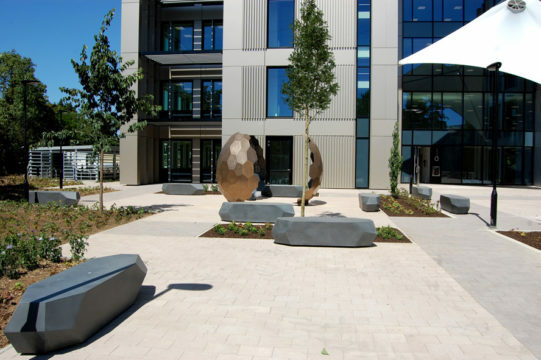 Sustainable Urban Drainage Systems (SUDS) is an integral part of the landscape design for this project. 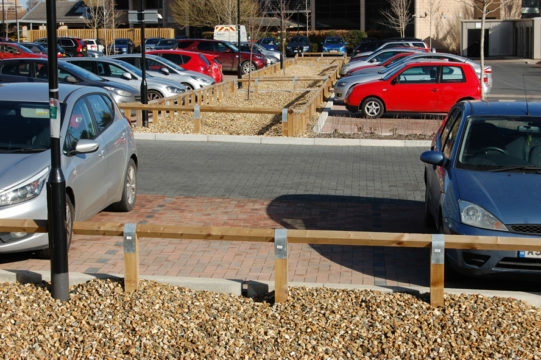 A combination of swales between blocks of parking and permeable paving within the parking bays were used to achieve a sustainable drainage design.